The world’s largest coral reef, home to endangered species such as the Sea Cow and large Green Sea Turtle, stretches 1800 miles across the north east of Queensland’s coast. It has been a World Heritage Site since 1981 and due to its incredible beauty it is also one of the world’s most popular tourist destinations. Fun fact: The Great Barrier Reef is the only living thing on earth visible from space. Australia’s largest rainforest, located again on the north east coast of Queensland, contains 90% of Australia’s bat and butterfly species and 7% of the country’s bird species. With boat tours, hike routes, animal sanctuaries and adventure tours, many people visit this rainforest its natural beauty and wildlife. Fun Fact: Daintree Rainforest has one of the most complex ecosystems on earth. 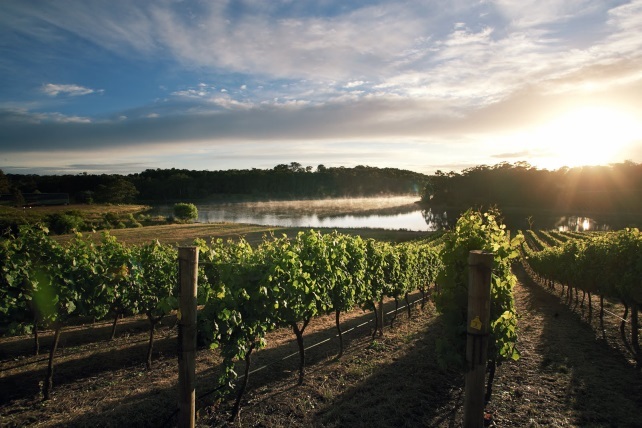 A secret gem in the south west coast of Australia, Margaret River is renowned world-wide as a gourmet food and wine destination with stunning wineries, fresh local produce and arts and crafts. Also famous as a surfing location, you can take a walk through a forest then hope on a surfing board the same day. This area truly captures the Australian lifestyle. Fun fact: Bush tucker refers to any food native to Australia. Kangaroo and Emu are examples of meat bush tucker. Also known as Ayers Rock, this large sandstone rock formation located in central Australia, is 2,831ft high and quite a sight to see. It is possible to climb up the side of, and walk around, Uluru but there are some off-limit areas as this formation is considered sacred to the Aborigines. Visitors have reported back that nothings prepared you for the experience of being exposed to this expansive living cultural landscape. Fun fact: Uluru originally hailed from the sea. This beachside town, located in New South Wales, is a favourite holiday destination of Australians as well as a tourist hotspot. Famous for its beautiful sunsets that appear behind the lighthouse and numerous music festivals, Byron Bay remains one of Australia’s top tourist destinations. Fun fact: The local Aborignal people’s name for the area is Cavvanbah, meaning “meeting place”.